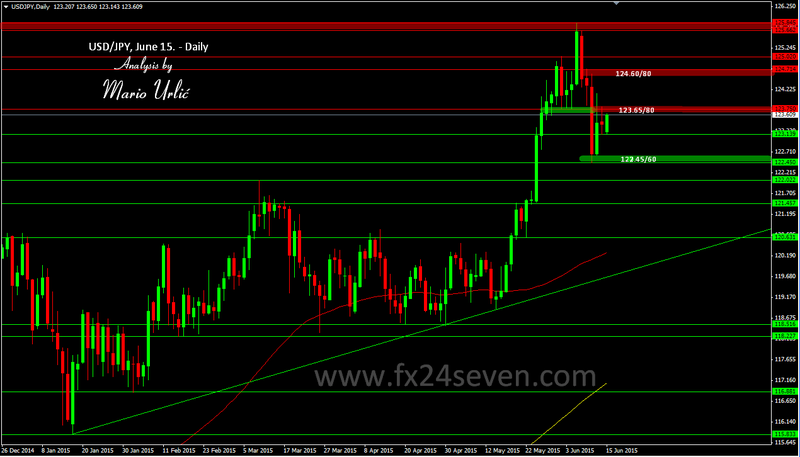 USD/JPY, the bulls are stubborn! The bulls are trying to brake 123.75 for third day in a row and they wan’t give up. In the last two days, Friday/Monday, the pair was supported at 123.13/14. Fantastic accuracy beacuse only one pip low difference in two days, but on the other side, the sellers are ready here at 123.65/75 as well and they are serious. Is this (122.45/123.75) new range for the pair or the buyers will return lost teritory here in the coming days? Let’s see! ?